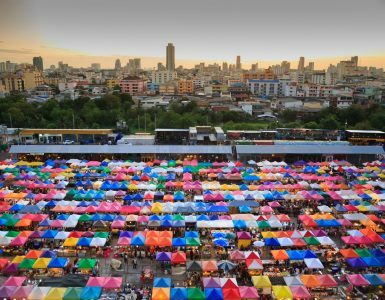 When you think of shopping in Bangkok, the numerous shops and innumerable deals to be had, there is one place that cannot be missed. Indeed, there is one shopping mall that is simply legendary, the true emporer of them all, and the El Dorado of shopping lovers. We are, of course, talking about the incomparable MBK Center. 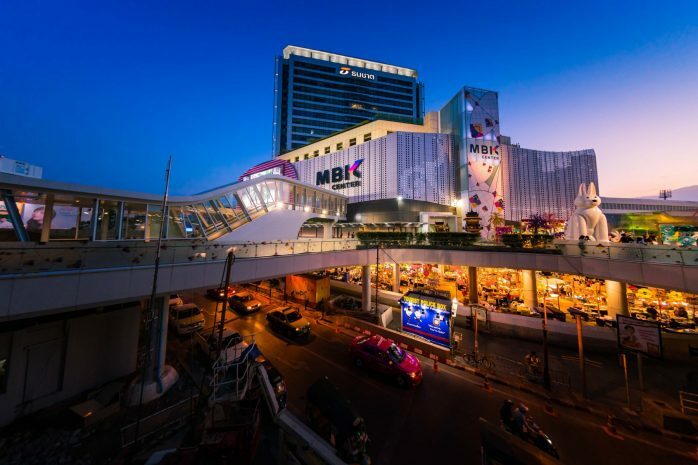 MBK Center is the anagram of Mah Boon Krong, the real name of the enormous shopping mall. First opened in 1986, this is the place to find everything. With eight floors and unending shops and stalls, descriptions of Mah Boon Krong actually challenge and defy the possibility of exaggeration. MBK Center is filled with at least two thousand shops with nearly everything in the world on offer and exciting shopping crowds to match it. Energetic shoppers will find both namebrand and other fashionable clothing for both men and women, boys and girls, stylish accessories of all kinds of trends, attractive handbags, luggage, furniture, and an entire floor devoted to mobile phones, electronics, cameras, and other entertainment equipment for the modern age. 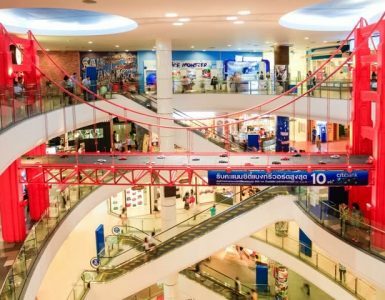 Not your high-end shopping experience, MBK Center is simply an air-conditioned feast for shoppers and it seems that almost half the city must come here at times to window shop and really shop, as prices in MBK Center are quite affordable. This has added to its appeal to Thais and tourists. 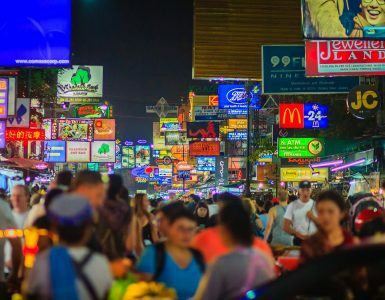 Of course on the fifith floor and above, you will also find stylish and international food courts as well as some good restaurants, serving both Thai food and a number of other cuisines. There are really a plethora of options for lunch or dinner. Now, not only is MBK Center a shopping mall. It is actually a massive entertainment complex. The top floor contains a huge multi-screen cinema offering the latest blockbusters from Hollywood and around the world, karaoke rooms, a computer games arcade and a fun activity place for the kids, as well as a number of other restaurants.